The calendula plant is an essential feature of healing and ornamental gardens, as well as a popular garden flower. 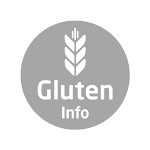 Products that are marked with this icon either don’t contain raw materials derived from wheat, oat or other cereals which can contain gluten, or are classified as harmless for patients with celiac disease according to EC Guideline 2005/26/EC. Calendula blossoms have a light- to dark-orange colour and are typical of the Calendula flower. They contain various carotenoids, flavonoids and saponins. Calendula Officinalis Flower Extracts have smoothing properties and support the regeneration of the skin. Sesame Seed Oil works as a perfect massage oil and is used for the care of wan, dry and mature skin but it is also used as a hair conditioning product. It has a great antioxidative effect, skin caring properties and is an ideal carrier oil for active agents. It comprises of a high content of unsaturated fatty oils, such as oil and linolenic acid, as well as phytosterols and Vitamin E (esp. gamma-tocopherol). 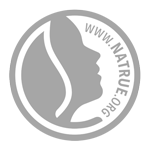 Synthetic preservatives, fragrances, colourants, free of raw materials derived from mineral oil. In Weleda’s biodynamic healing cabinet, calendula plays a key role – many of our cosmetics and medicines could not be produced without calendula’s valuable extracts.